Ha ha Will’s sense of morality. The best part of this page is the stoner guy next door having a “drug client” look about him. 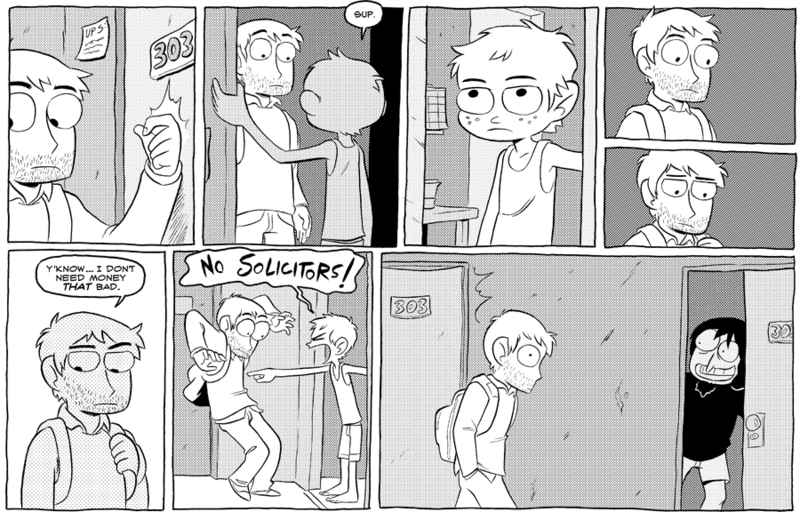 I always took this one as implying that Will went to the wrong door, and the next door guy is actually who called him. Was it ACTUALLY the kid that ordered the pot? This is the most fired up about anything the guy on the right ever gets. That child looks like the progeny of Will and Hanna. Funfact: the neighbor is also age 12.